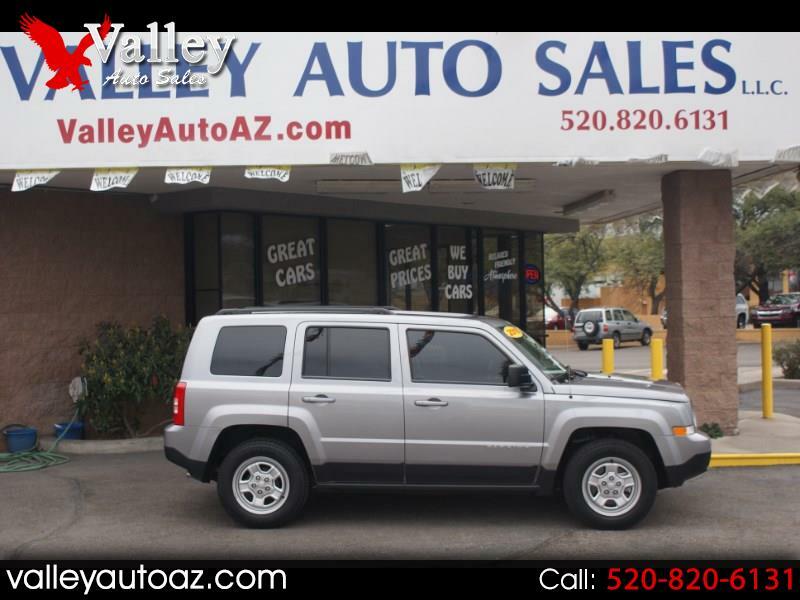 That is not a typo,,,this 16 Jeep Patriot does only have 9800 miles on her! A (1) One Owner Off Lease from the factory,,,this one Patriot is the 2.4L,,,the higher grade instead of the 2Liter. 2WD automatic, power windows, power door locks, remotes with all the releases built in,,new tires, two tone cloth interior,,,an excellent exterior, steering wheels mounted controls for easy use! All the keys and books and this Jeep comes with our FREE (2) Two Year Maintenance Plan that is easily serviceable here in Green Valley! Come by for a look and a drive----call Bill at 520.820.4228. Thanks for looking and thanks for the consideration! !